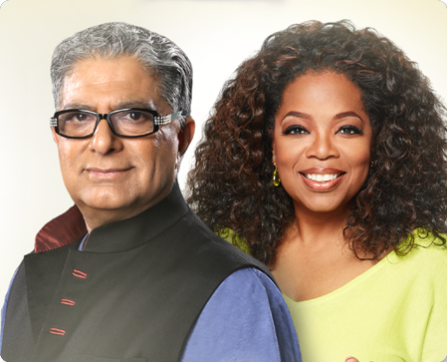 I found an amazing short interview between personal growth guru Deepak Chopra and media giant Oprah Winfrey. In it, Chopra explains how constantly asking yourself these 4 negative questions may be responsible for draining the joy out of your daily life. How will I ever get out of this? Read the article and learn how to stop this. “Making these thoughts go away is extremely difficult. They are persistent and never seem to resolve themselves. The solutions we try to find don't work either,” Chopra said. “It's necessary to try a new way, one that allows our mind be our friend and not our enemy. To do that, we have to move from the level of the problem to the level of the solution,” he adds. This thought arises from personal insecurity, self-doubt, and judgment against yourself. When people wrestle with self-doubt, they generally get stuck saying opposite things to themselves: "There's nothing wrong with me" one day and "I'm a mess. Everything is wrong with me" the next, as circumstances swing from good to bad. Neither extreme is true, but that's not the point. The false answer becomes a ritual, a fixed response that gets nowhere. Other ritualistic thoughts would include "I keep doing this to myself," "I'm stupid," "I'm all alone," "I never get a break" and so on. The problem is that you're trying to answer a question that is self-defeating to begin with. Instead, you must look at why the question arose and solve that problem—which is insecurity. You are giving away your power. Security comes from being centered in the self. This concerns dread about the future. It's about lack of trust. In life, you will never know what is going to happen. Any attempt at a response is futile, since this, too, is a self-defeating question. Instead, you need to live in the present. Realize that the future is not only unknown to you—it is unknowable to anyone no matter how much you worry. Therefore, you are worrying about a phantom; fear is piling on hypothetical possibilities and worst-case scenarios. They vanish only when you place your attention on the here and now. 3. "How will I ever get out of this?" This question comes from a feeling of being trapped. To end that feeling, you must make space for creativity. It is self-defeating to block your creative juices with an obsessive repetition of doubt. Solutions don't come from panic. They come when you re-frame the situation you are trapped in. Instead of seeing it as a prison, see it as a chance to prove that you are capable of meeting reality head-on. By clearing away the fear, you open a channel for new solutions to appear. 4. "Where will the money come from?" On the surface, this is about finances. But beneath that, this question comes from the feeling that your life can be taken away from you. You think that money protects you from total loss of control and if there isn't enough of it, unseen forces will overwhelm you. Rather than tackling the money issue, it's time to create a safe place inside you. The first step is to see that money isn't going to make you safe (unless, of course, you lack the basic necessities of food and shelter). A prudent amount of money is undeniably a safeguard, but a sense of lack is psychological. You will feel safe inside not when you have enough money, but when you can say "I am enough."